There are endless ways of appreciating John Newman’s incomparable singularity […] By revealing a willfulness to persist in pursuit of a vision that emphatically demands a precise pictorial language—one that correlates with its differences, materially and formally—Newman has created another kind of sculpture in which different forms sing independent melodies that harmonize with the orchestration of his unending interest in all things. 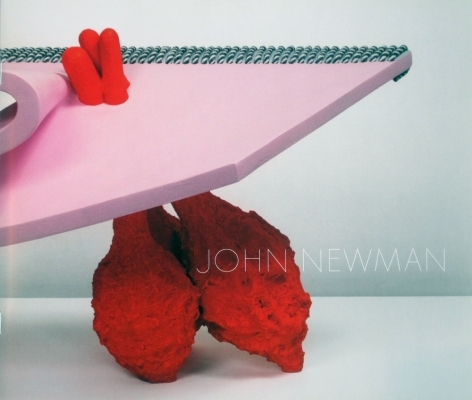 The Tibor de Nagy Gallery is pleased to present an exhibition of new works by the much admired sculptor John Newman. This marks his second solo exhibition with the gallery. The exhibition will comprise twelve new sculptures as well as a group of new drawings completed over the last two years. These very recent and often wildly colorful sculptures are somewhat larger than the tabletop-size sculptures for which he has been known for the past 20 years. The new group of work has been inspired by diverse subjects such as non-Euclidean geometry, tribal arts, Baroque art and architecture, and Japanese flower arranging, among others. The artist incorporates an array of materials from the traditional to the exotic. The materials include found objects and industrial “accidents” such as discarded extruded aluminum, and his various processes incorporate unusual techniques ranging from the hand-built to the computer generated. John Newman’s work has been the subject of over 50 one-person exhibitions and numerous group shows throughout the United States, Europe and Asia. His work has been included in major museum exhibitions and is in the permanent collections of the Museum of Modern Art, the Whitney Museum of American Art, the Metropolitan Museum, the Tate, the Albertina Museum in Vienna, to name just a few. He has been the recipient of numerous awards and grants including the Rome Prize, the Guggenheim, the American Academy of Arts and Letters, the NEA, the Joan Mitchell Foundation, the Gottlieb Foundation, the Pollock-Krasner Foundation, the Tiffany Foundation, and he was a Senior Fulbright Scholar to India. He received a BA from Oberlin College and an MFA from Yale University of Art. This summer he will be an artist-in-residence at the Civitella Ranieri Foundation in Umbria, Italy, as well as artist-in-residence at the Chinati Foundation in Marfa, Texas, in the spring of 2015.